Today, we wanted to start with one of the most important rooms in the house: the bathroom! 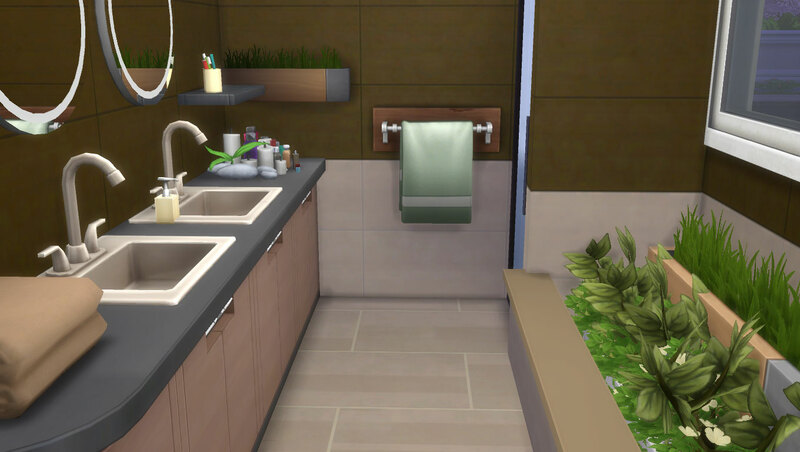 We invited popular builder Zita1966 to write up some tips on creating an amazing bathroom in The Sims 4. Below is her guide! Thank you for the invite, I am truly honored. Even though I do consider myself as a very versatile builder, I do like to build my bathrooms to be easy accessible and playable. Most of all, they need to look realistic, like in a real life house. Step one: Start with a small room. Bathrooms don’t have to be very big – in fact, the smaller you make them, the more realistic they can look. While a 6×3 room might seem too small for a functional bathroom, it’ll actually make it look more like the ones in your home! Step two: Make use of barriers and half walls. After you’ve build the shape itself, you’re going to start dividing it up into different sections. You’ll need a 3×1 spot for the toilet, and a 2×1 spot for a shower. 2×2 is big enough for a bath tub, too. Plot them out, and make sure you leave enough room between them. In this illustration, I also made a 2×2 spot for plants as a feature in the bathroom. Using the smallest half wall for this would be perfect. I left the grid on here, so that you can see the layout/Blue print of the room. To remove a grid you can press “G” on your keyboard. Step three: Paint the room and pick a floor. It might seem early, but doing this before you start plopping down the objects is important for aesthetic. The walls and floors will help blend the room together and you can coordinate your color scheme for the bathroom. In this example, I’m using the amazing paint from the new The Sims 4 Spa Day Game Pack*, but you can use whatever you choose or have available. There are amazing options, even in the base game selections. Step four: Choose and place the plumbing objects. 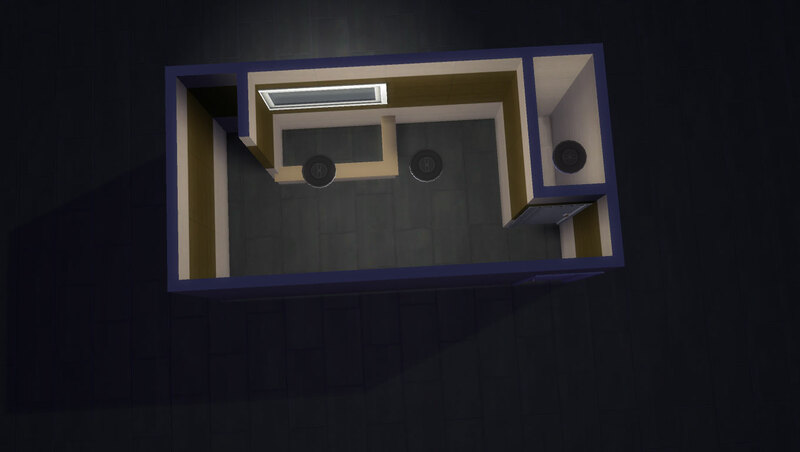 Toilets, showers, bathtubs, sinks – all of those objects need to be placed into the slots especially created for them. I prefer to use kitchen cabinets in my bathrooms, placing sinks on them. This creates a sleek and stylish look for your bathroom. 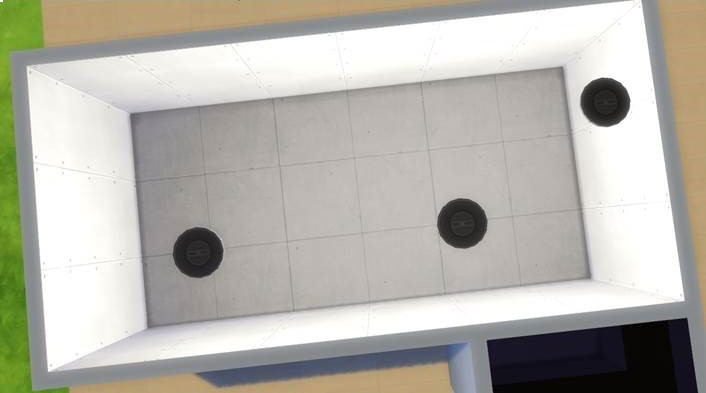 There are other cool tricks for bathroom sinks, like activating the Move Objects Cheat [bb.moveobjects on] and sliding sinks into the wall by placing them on tables which you placed first. This can give a brand new look to your sink and wash-up area. You can use any wall table that you want for the desired effect. The problem is that your sink might not be usable in-game, and therefore is only recommended if you are not going to use the sink as a functional item. Step Five: Personalize your bathroom. By placing clutter that can be found under the Decoration tab, you can really bring your own personality into the design. 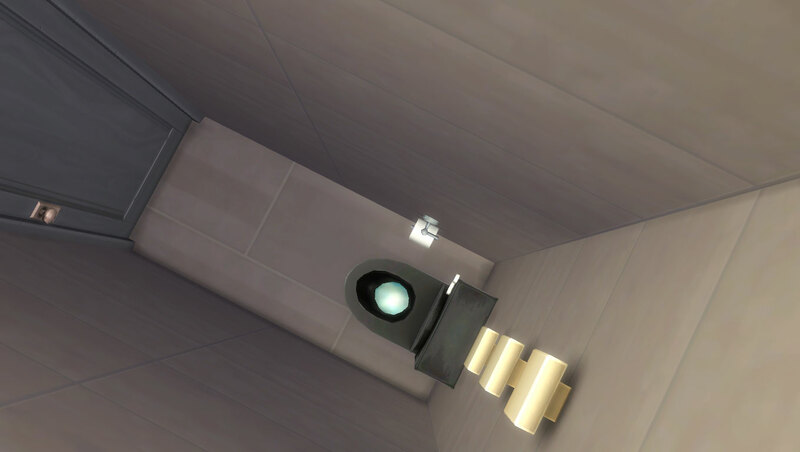 And by using the Move Objects Cheat, you can also place objects into those tight little spots where they normally would not fit. A handy tip: Only use the Move Objects Cheat on items that are decorative. Once you start using it on playable items, it affects the gameplay of that room. 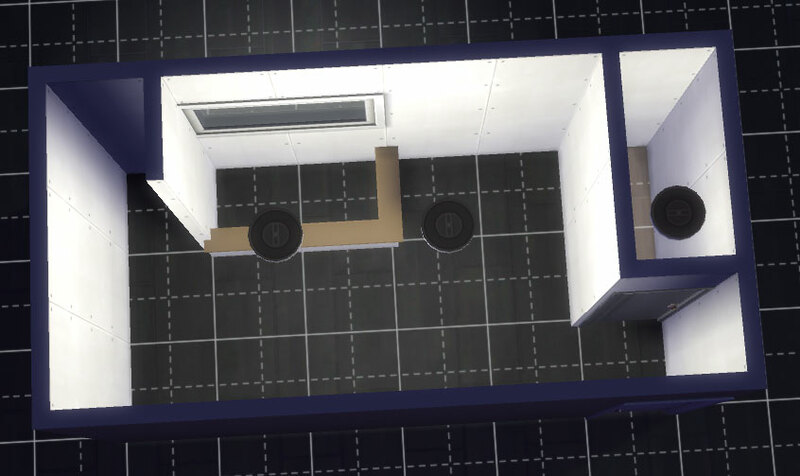 And there you have it, a perfect sensible and realistic bathroom! You can find this bathroom along with all my creations in The Gallery under ID: Zita1966. Happy Simming! Previous ArticleThe Sims 4 Cool Kitchen Stuff Official Blog PostNext ArticleThe Sims 4: New Spooky Stuff Pack coming up?